We think it’s time for the RIAA – and Gelfand, Rennert & Feldman – to align our digital song and album certification requirements. That’s why today we are officially updating this rule in our G&P Program requirements. Going forward, sales of albums in digital format will become eligible on the release date, while sales of albums in physical format will still become eligible for certification 30 days after the release date. 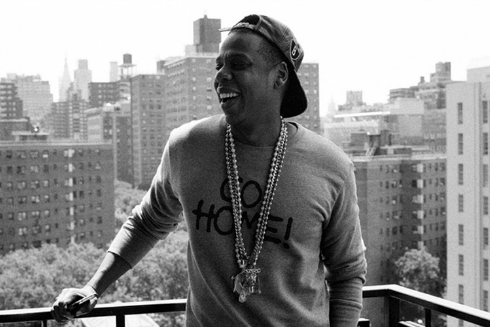 Whether you are a fan of Jay Z and his music or not, you can't deny that Hov has always been a game changer. Whether or not this was another planned marketing move, Jay Z saw an area within the music industry that needed renovation and made a move. But Hov was absolutely right, the internet is the "wild west" and it's time for the "rulemakers" to get with the times. The RIAA policy was based on data from 2004......yeah, 2004! Think about all that has changed within the "online" and digital world in the past decade. Now think that these policies were based on information from a decade ago. Jay Z has always managed to stay ahead of the game from a business-standpoint. Even though he's been in the game since the late 80's/early 90's, he's more "with it" than a lot of newer artists. We need our policies to reflect the current times, not just within the music world but within all avenues of business and especially within the political world. Sometimes there's resistance to change merely because someone's "stuck in the ways". From smartphones to tablets to laptops, 4g and wifi hotspots, we are in an increasingly digital age. We need our thought process to reflect the times we live in, not what we're used to. When I was younger I remember my Mom saying "you're not just going to sit in front of the Nintendo all day, go outside". I hear parents and grandparents saying "you're glued to that smartphone [or tablet]", which may be true but a phone isn't just a phone anymore. A phone is now a gaming device, a camera, a camcorder, a book reader, an internet browser, a voice memo, a calendar, whatever you need it to be. We need our thinking to modernize with the technology. We are in the information age now, children born in this past decade have had endless information within the press of a few buttons. Imagine the possibilities, rather than discourage being attached to a smart device let's encourage smarter behavior. As Hov said, it's the wild west.....time to rewrite the rules! Don't forget, when you're copping Jay Z's new album "Magna Carta Holy Grail" to stop back here and grab that new Workin Class EP "Daydream" for FREE download!